What I Blog About When I Blog About Books: 6th Day of Christmas: China Glaze "Tinsel Town"
If you haven't already noticed, China Glaze has been featured in almost every single one of these holiday manicures, which just goes to show how much I love their Holiday Collections. Aside from this year, China Glaze usually takes the crown for Holiday collections. 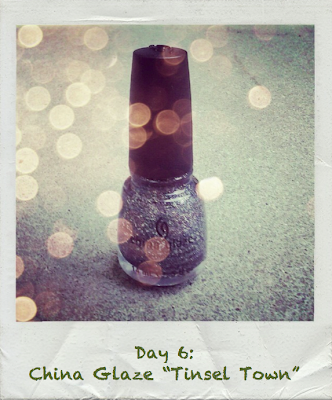 Today's holiday-inspired manicure is a basic one-polish manicure, "Tinsel Town," from last year's holiday collection. 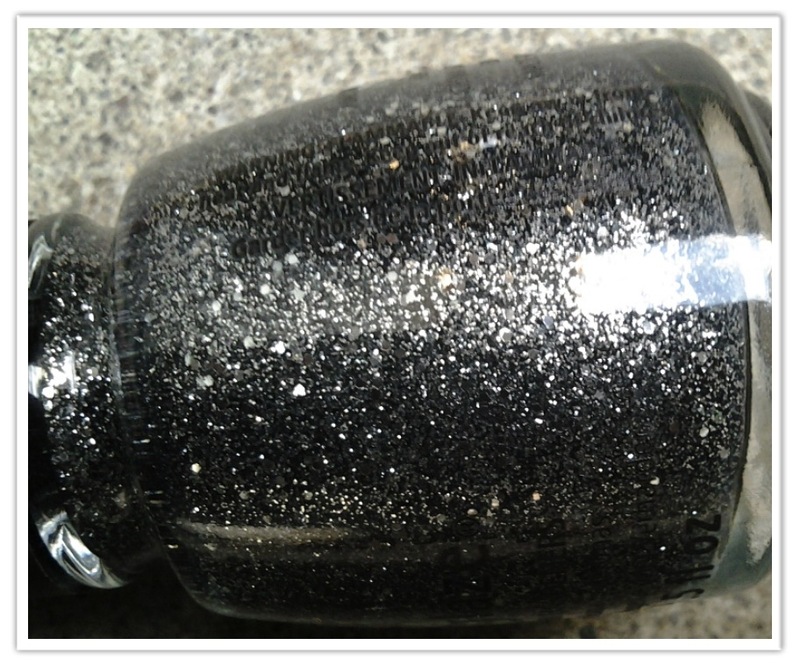 "Tinsel Town" is a silver, charcoal glitter that has a slight hint of blue. It features glitters of varying sizes from finer glitter, to slightly larger ones. When I let the polish sit for long enough, and the glitters gather, I can see that the base is a translucent blue, rather than clear. I personally love silver glitters that lean blue. They're probably the best kind of silver for my skin tone. I think the photo below does a good job of showing the slight blue hints in this polish. I'm always attracted to silver glitters that lean slightly blue. I have been dying to purchase Deborah Lippmann's "Today Was a Fairytale" for this reason, but haven't been able to justify the $20 price. I do, however, have a UO polish that slightly resembles it, so maybe that will have to make an appearance in a future manicure. "Tinsel Town" is one of those polishes where you have to be prepared to have glitter covering your entire nail, because it's difficult to wear it in moderation. 2 coats cover the entire nail. I wouldn't necessarily call this a festive polish, but the amount of glitter and shine this polish packs makes it appropriate for the colder weather. It's perfect for those who are scared of flashy glitters and love darker colors, but still want something special for this time of year. I hope you're not tired of glitter yet, because there are so many more glitter-packed manicures to come in my 25 Days of Christmas Manicures! Ohhh! I love this one! I'm definitely going to wear it this winter season! 2 coats made it opaque but I'm curious if a base would help?